A waterfall next to the other lava waterfall – Hraunfossar. There used to be a natural bridge over the waters, but its gone for a long time. It was popular waterfall between the locals until a tragic accident happened. You can find Barnafoss in the west part of Iceland. If you want to come from Ring road, take the road nr. 50 and then road nr. 518. Road nr. 523 us unpaved so it is definitely not the best choice. From Þingvellir national park, you can come here using the road nr. 550 which eventually turns into 550. Even though it is drivable with 2WD, it is quite bumpy road. After you reach road nr. 518. 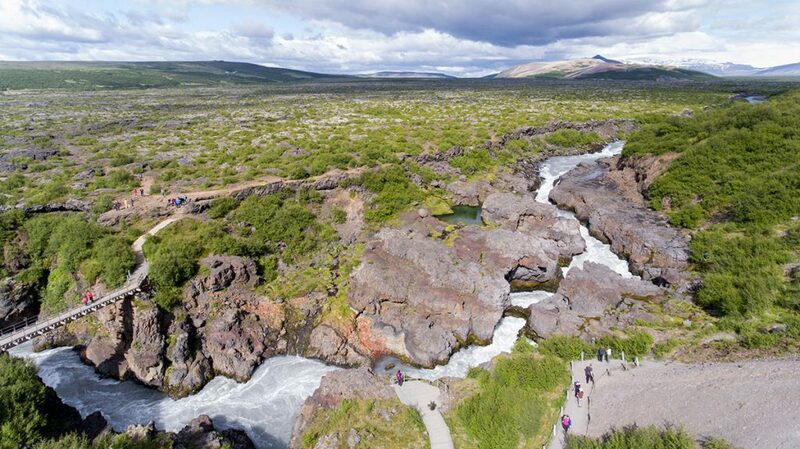 (and you can visit the Rúfoss waterfall) turn left and it is just few kilometers to Barnafoss. 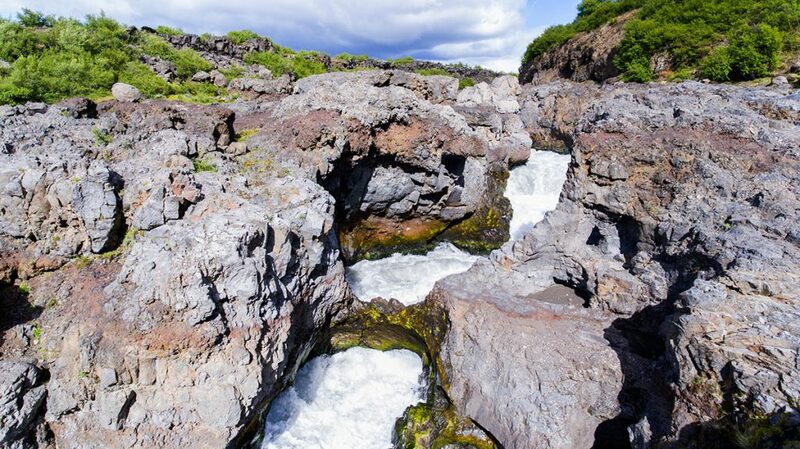 GPS coordinates of the Barnafoss waterfall: 64.701757, -20.972862 Take me there!